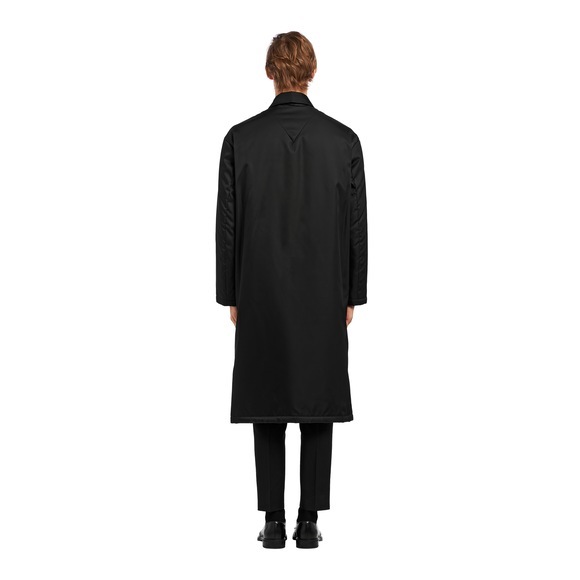 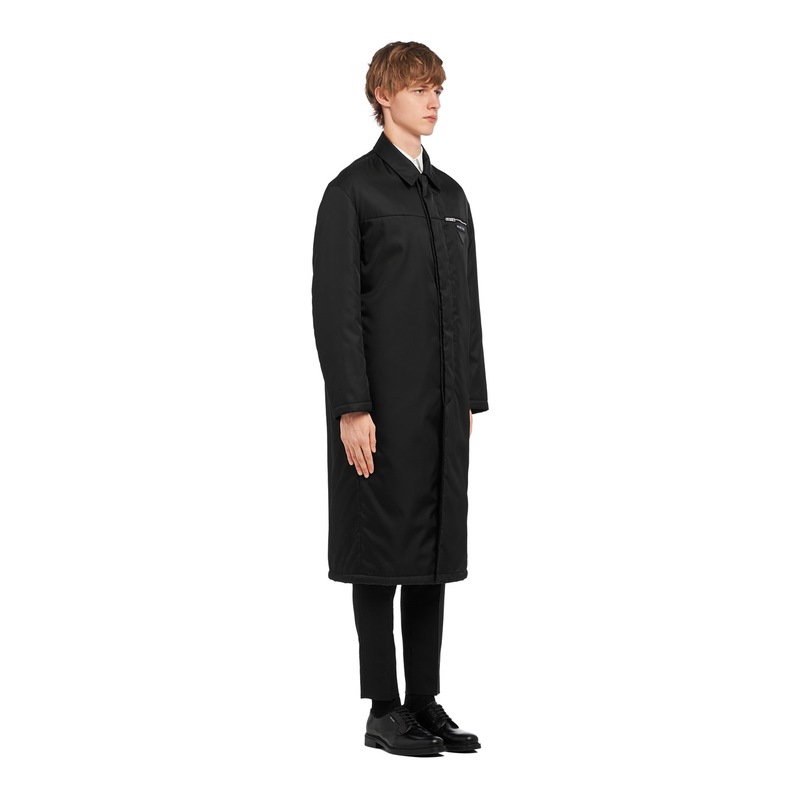 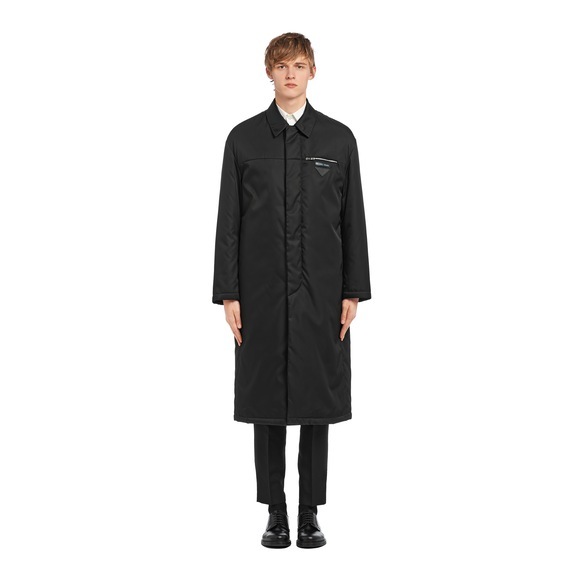 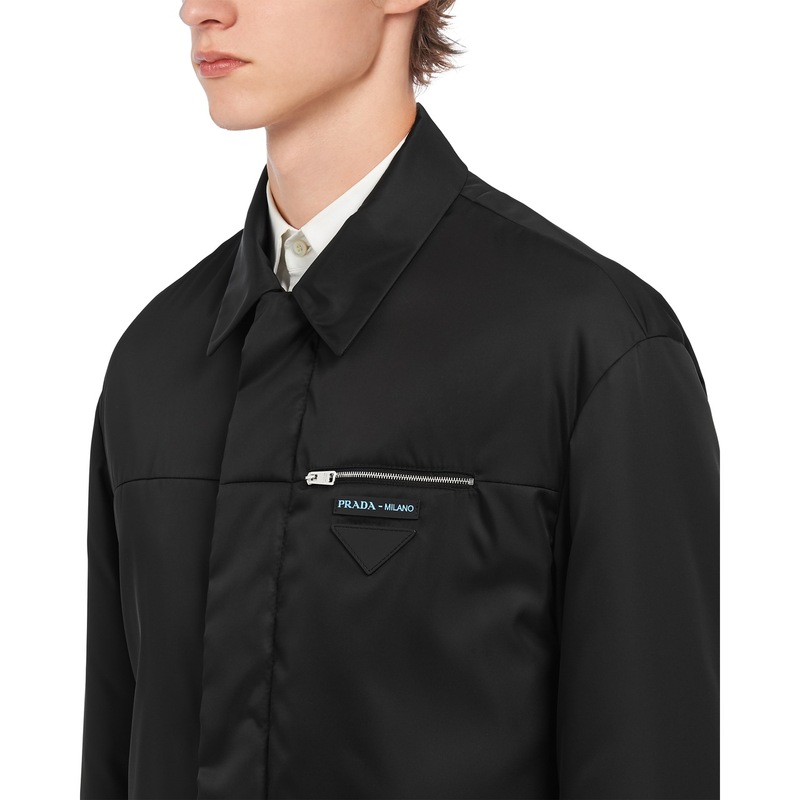 The lines are sleek on this nylon gabardine coat with shirt-style collar. 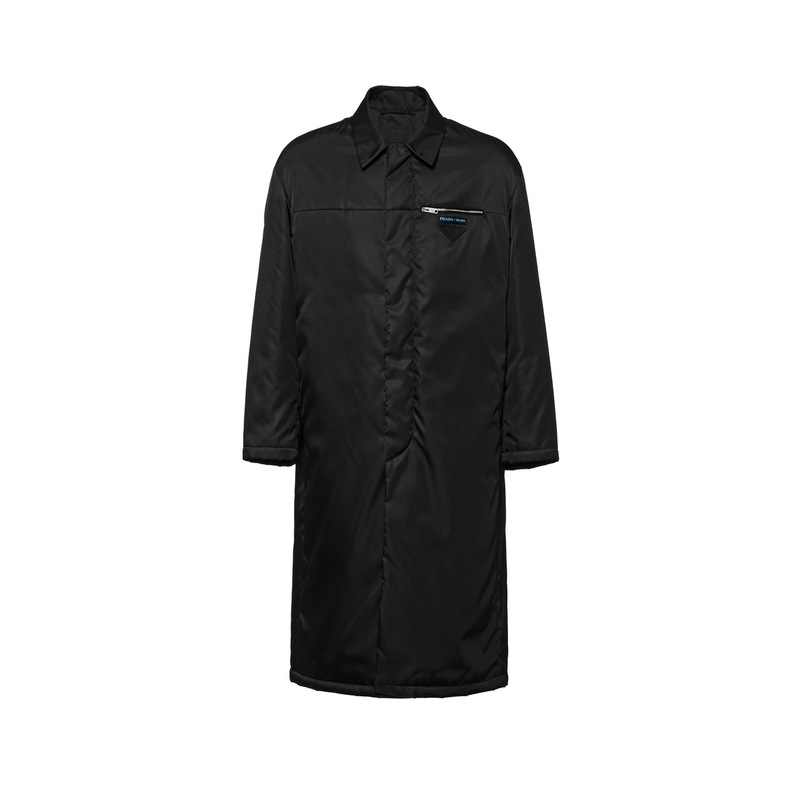 It is entirely lined and has horn buttons on the front. It is decorated with a leather triangle logo and sartorial label.